Having a balanced garage door is very important to keeping your door functioning properly. An unbalanced door will put strain on your garage door opener and shorten the life of your door. Also there is a safety issue. An unbalanced door when manually opened could suddenly fall closed. That is why it is important that you know how to close your garage door. Lift your garage door manually to test its balance. Bring the door to half open and a properly balanced door will not go up or down. If your door goes up quickly, you have too many winds on the springs. If it is falling after you let go, you do not have enough. You can adjust your spring or springs accordingly. 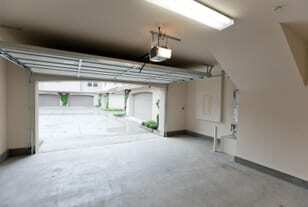 Your garage door should remain in the open position without falling. If the door will not open on its own, do not force it. This can cause the cables to come off the cable-drums, which is a costly fix. On the outside of your garage, look at the line of your springs. If the line is straight then you do not have enough winds on your spring or springs. If the door looks balanced, open and close it a few times to ensure it is working correctly. Then you can reconnect it to the garage door opener. Many garage doors have a trolley and carriage system. If your garage door has this type of system, you will need to line these up before the opener can be engaged. When it comes to torsion springs and door balancing, it is always best to consult with a professional before attempting a fix on the spring itself. The springs are under immense pressure and can cause serious injury if not handled properly. Call Action Garage Door today for assistance with your door. Call 972-299-8980 to schedule an appointment.